My heart has been with Florida for the last week. I've been glued to the news about Hurricane Irma, watching the reports, searching out the spaghetti models, studying the changing "cone of uncertainty," stalking social media and the posts of friends and family as they have been prepping for the onslaught of this record-breaking storm. I know about hurricanes first hand. We had to reroute our wedding 24 hours beforehand due to a power outage of our venue (for both the wedding and the reception) due to Hurricane Floyd in Maryland in 1999. About ten years ago, I lived and taught in the Tampa Bay area for 6 years. Shortly after we moved there, we experienced a tropical storm. I was a nervous wreck. 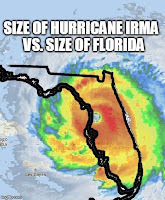 Fast forward a few years, with time and experience of living in Florida, I found myself saying things like, "Oh, it's only a Category 1-2 storm, it's not that bad." Comments like that become part of the Florida culture. Ridiculous words really, ones that sound amazing to anyone who has never lived in an area with frequent hurricane watches and warnings. During the bigger storms, we headed over to the Ft. Lauderdale area to my sister-in-law's family's home. Likewise, they did the same by heading our way when storms were headed towards them. 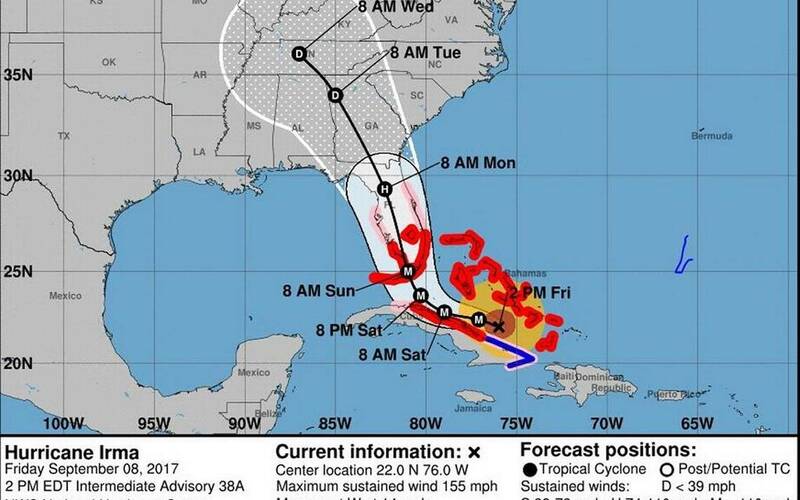 For Hurricane Irma, my husband's sister's family, along with the estimated 6.3 million other people in Florida, evacuated. 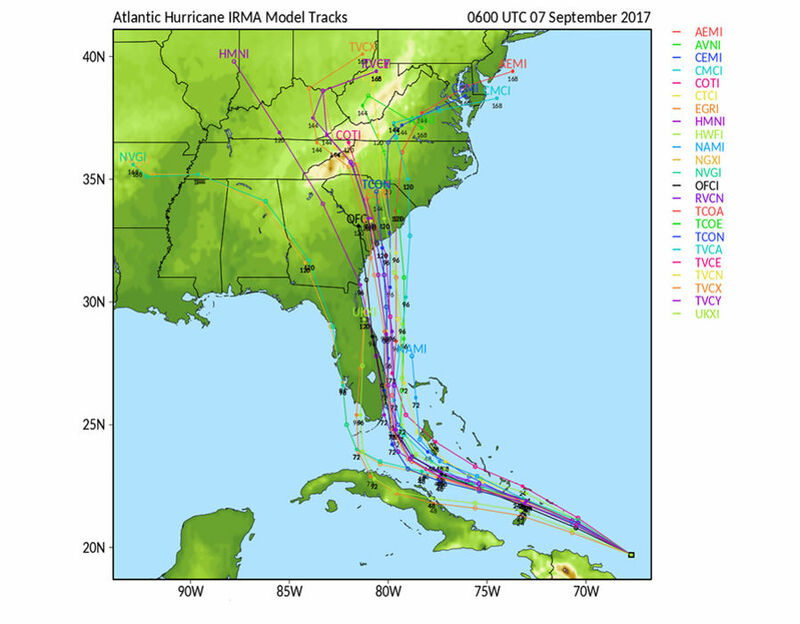 However, as Irma moved and tracked more westward, it caused more Floridians to make decisions--without the luxury of as much time. The movement of the storm more westward during its final days put all of Florida in harm's way, at one point or another. My stress level was through the roof, watching and waiting for the storm to hit... and I'm several states away! As a Florida teacher, I remember "hurricane days" off of school--they are not anything like "snow days" (which are far more relaxing). "Hurricane days" leave you with a lot of house prep and work to do--sometimes in beautiful weather where you can't believe you are a day (or hours) away from some potential destruction and disaster. You watch the littlest change in the spaghetti models and satellite tracking. I can only imagine the stress level of my friends and family as they were doing their security measures and boarding up. 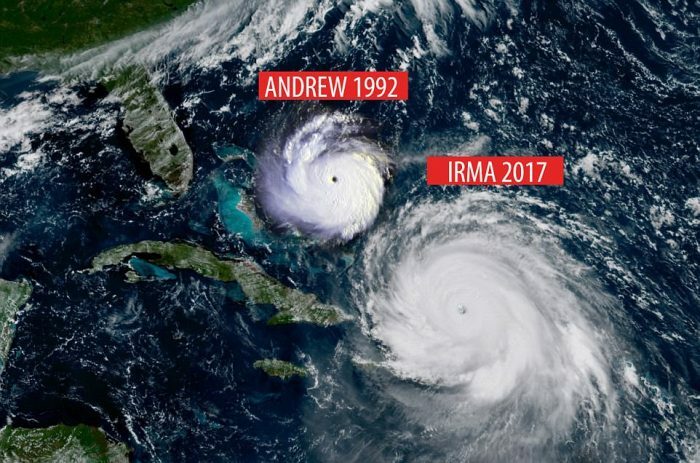 On the heels of Hurricane Harvey, while watching the swirling Jose & Katia also out in the water, it begs the question, again, about climate change. I'm comforted to see Miami's Mayor Tomás Regalado pointedly saying to Donald Trump, “If this isn’t climate change, I don’t know what is." This short video was created a few days before Irma made landfall on Florida by "Years of Living Dangerously." It puts those scientific facts out there visually and statistically. We need the climate change conversation now. How many more horrific storms will it take to open our eyes? My heart goes out to the people of Houston, who are still trying to rebuild their city and their lives. 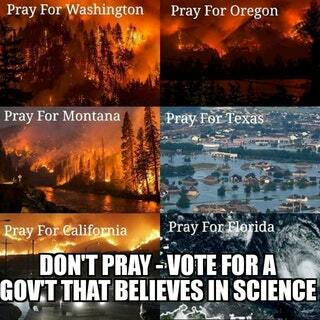 My heart goes out to those who have lost everything due to raging forest fires. 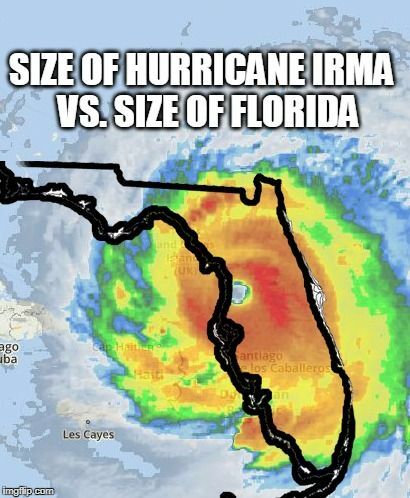 My heart goes out to all of you in Florida who had to evacuate then come home to your new reality. My heart goes out to those my friends in the Tampa area who were shaking while the wind blew during the night and the rain came pounding down. My hope is that all of you in Florida and the Islands are safe and comforted by that amidst your loss... and that your loss, in the big picture, is very minimal. My other hope is that people will start paying attention and tending to our planet before we have to encounter more loss due to harmful legislation and human carelessness. video from https://www.facebook.com/350.org/videos/1481467578606962/, images from http://www.islandpacket.com/news/weather/hurricane/article172065577.html, http://themostimportantnews.com/archives/hurricane-irma-is-being-called-a-lawnmower-from-the-sky-and-fema-warns-it-will-devastate-the-southeast, https://www.usatoday.com/story/news/nation-now/2017/09/07/heres-how-big-hurricane-irma-compared-florida/644635001/; "Don't Pray--Vote for a Gov't" meme found circulating from many on Facebook.